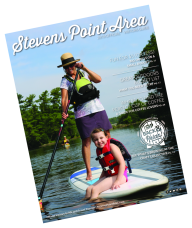 Stevens Point will come alive with colors this fall, and the spectacle won’t be limited to the beautiful trees. Arts events that feature impressive visual arts and live performances will take place throughout the fall in Portage County. Enjoy live jazz, meet local artists, sample tasty food and purchase unique items. These events are a great way to celebrate the arts and the changing of the season. The Rosholt Fair Park features a great lineup of performers on Aug. 27-29, including Chicken Wire Empire! This Aug. 29 event at the Portage County Fairgrounds features quilts, wall hangings, crafts and more. 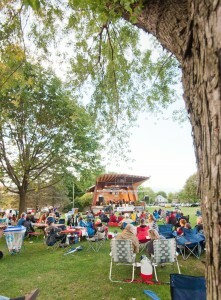 The largest outdoor jazz festival in Central Wisconsin takes place Sept. 5-6 in Pfiffner Pioneer Park in Stevens Point. This unique urban outdoor experience on Sept. 11 features food, live music and improve performers. A gallery reception for an invitational exhibit takes place Sept. 18. This Sept. 19 event, held along the banks of the Wisconsin River, include vendors, food, entertainment and more. This event, which takes place Oct. 2-4, is a chance to visit studios and purchase art directly from artists. For 62 years, the Stevens Point Barbershoppers have been coming together to put on this annual show. It takes place Oct. 3.